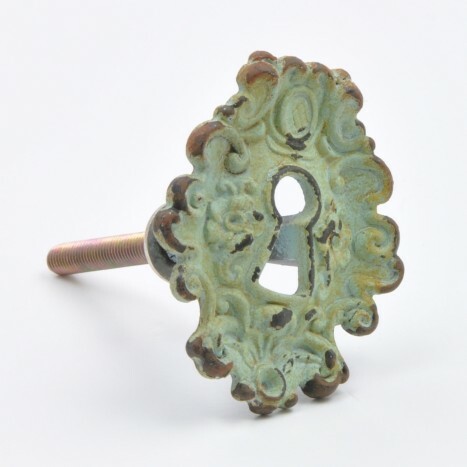 The unique vintage design of this keyhole cupboard knob displays the charm of the past, whilst the faded green paint finish adds the perfect amount of classic appeal. Decorate an antique piece of furniture to rejuvenate its beauty or change the look of your modern décor with this lovely cupboard knob. The stunning design will make any item of furniture stand out and transform it into a work of art, sure to be admired.